The “wows” evoked by photos of lost vistas are often maudlin or tinged with nostalgia. This lost vista might instead inspire satisfaction in the progress in Buffalo over the last three decades. 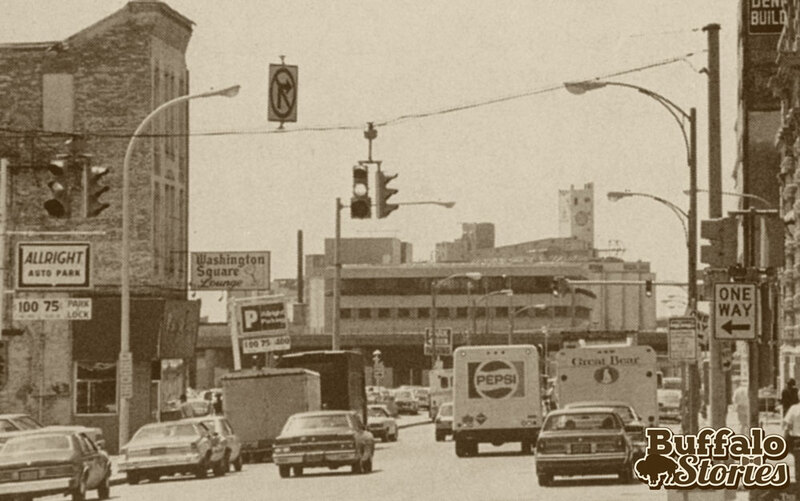 Thirty years ago, standing behind the Ellicott Square Building, at Washington and South Division looking south toward Swan Street, the view of the I-190, Buffalo News building, and General Mills elevator was virtually unabated. 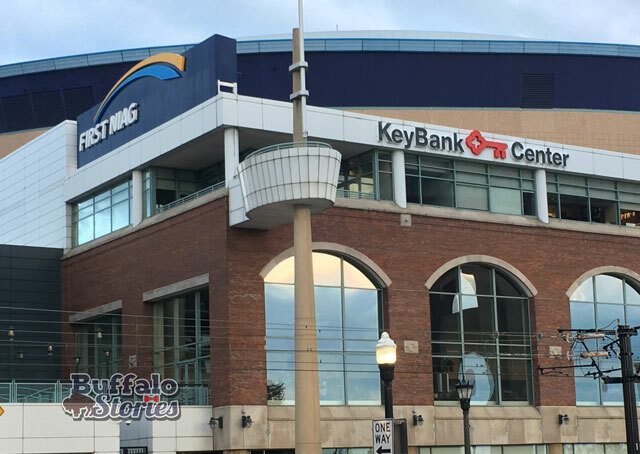 Significant development in this part of the city has placed useful civic buildings, including Coca-Cola Field and KeyBank Center, between South Division Street and General Mills. Coca-Cola Field opened in 1988. 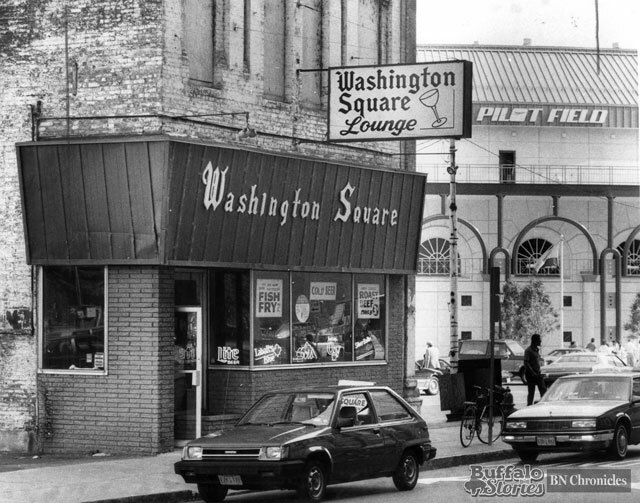 For the previous 20 years, the southeast corner of Washington and Swan was a surface parking lot after the demolition of the Hotel Buffalo on the site. 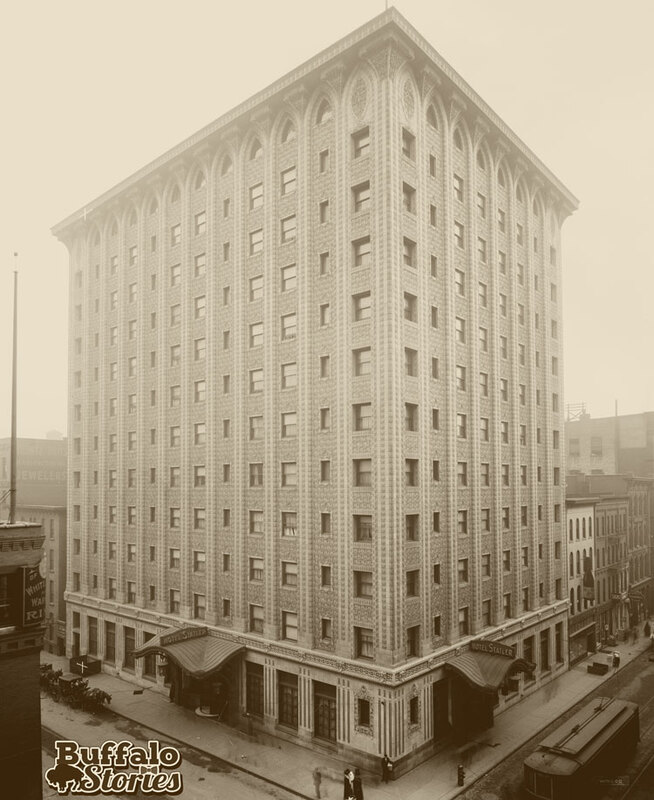 The Hotel Buffalo was the first permanent hotel built by Ellsworth Statler and originally known as the Hotel Statler — until the more recent, larger hotel was built in Niagara Square. It was torn down in 1968. Hotel Statler, later the Hotel Buffalo, at Washington and Swan. 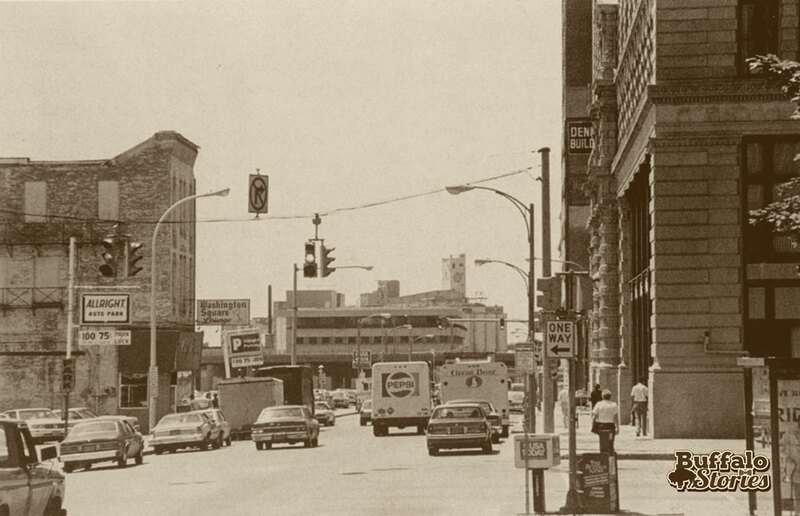 Now the site of Coca-Cola Field. BUFFALO, NY – I love preservation and giving current context to Buffalo’s old stuff. My attic is a testament to my single handed efforts at saving our city’s past. Sometimes, though, I’m frustrated that we don’t celebrate things as a city until they are moments from the wrecking ball. The Bisons have been here forever. They aren’t going anywhere. They have beer and peanuts and baseball. And a giant TV screen. Do we have to wait to show them massive amounts of Buffalove until they decide to move to Carolina with Carborundum or Arizona with Teds? It’s hard to believe that the Bisons just wrapped up the 26th season of baseball at PilotNorthAmericareDunnTireCocaColaJimmyGriffin (sorry if I left one out) Field. The Bisons’ Most Famous “Bat Boy”: The Butcher at War Memorial Stadium, “The Rockpile,” in 1986. 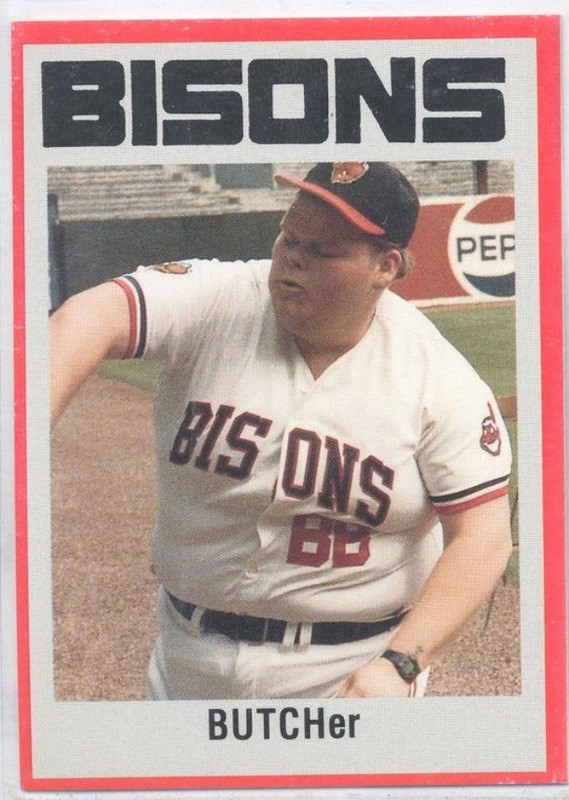 Also hard to believe: if any good Buffalonian were on Family Feud, and RichardDawsonRayCombsLouieAndersonTheGuyFrom-HomeImprovementJohnOHurleySteveHarvey (sorry if I left one out) asked, “Name a Bisons’ Bat Boy,” we’d all have an immediate number one answer. No other baseball city in the country has a bat boy turned bat man who lasted through two baseball stadiums and became an icon like our Butcher, shown above in 1986 at War Memorial Stadium. We love our Bills and Sabres, but our Bisons are a much more Buffalo organization at the heart of it. Mayor Griffin’s brass ones built the ball park. He just started building it, and sending some of the bills to Albany. And they paid. The most famous Bisons of the last few decades include the Butcher, Conehead, The Earl of Bud, Larry the peanut guy, and Irv from the 7th inning stretch. For the record, that’s beer, beer, peanuts, and shouting obnoxious things in unison during Gary Glitter’s Rock’N Roll Part 2. There’s some genuine, real article Buffalove. 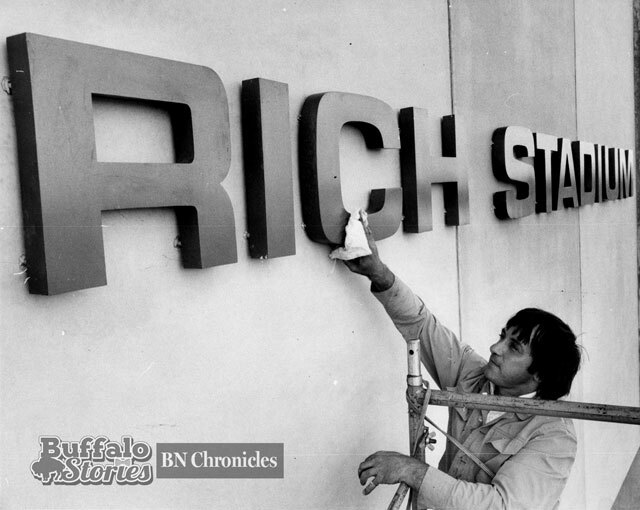 It’s too late now, but maybe next season we can get all hipster and act like we just unearthed this amazing gem that is soooo Buffalo that we need to go and look at it, and drink beer. It’s at Washington and Swan. Our grandfathers and great-grandfathers worked in grain mills or steel plants and nothing will bring them back. But guess what? They also watched the Bisons at Offerman Field. And many of us went with our dads to the Rockpile. And the “new” ballpark. It’s like preservation, without having to strap yourself to anything! I love finding new-old stuff to rally behind, but I like the old-old stuff, too.